Shouldn't You Decide Who Your Broker Will Be? The single most influential person in your ultimate success in finding and purchasing the right trawler for you is your yacht broker. Interestingly enough, this is important decision is largely misunderstood by buyers. The same buyer who will spend hours researching trawlers to find the most suitable choice, will naively call or email several brokers to find out more information, unaware that by contacting each broker they are establishing a relationship and becoming a lead that is entered into that company’s data base. Many good yacht brokers will “qualify” an inquiry by asking if the client is working with other yacht brokers. This seems like a simple and insignificant step, but it is very important in establishing the broker-client relationship. 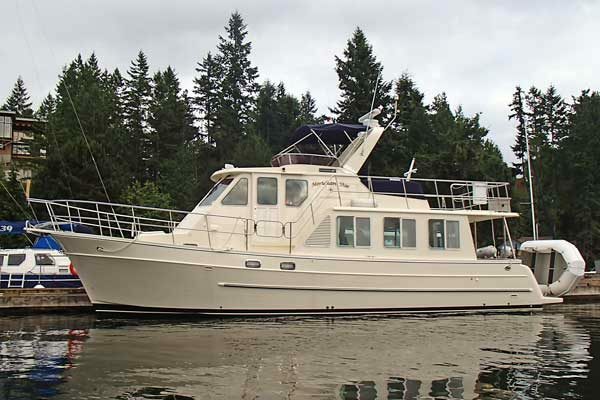 If you are interested in a particular boat model and have selected an agent to represent you in the purchase, then your broker should be contacting the other broker on your behalf. It is an all too common occurrence to find something intriguing while surfing the web and then send an email to the listing broker. Remember, the broker with the listing was hired by the seller of the trawler to find a buyer and their original obligation is to represent the seller. By contacting the listing agent directly and not identifying that you are already working with a broker, you have created a direct relationship where the listing agent will “claim” you and potentially make it more difficult to bring your designated broker into the picture after the fact. You won’t expect to read this, but in reality you don’t need a broker (and you also don’t need a trawler), however, finding an experienced and trustworthy broker to represent you will provide you with a huge advantage over doing this on your own. Some of those advantages are explained elsewhere on this website, but one important factor to remember is that the seller has agreed to the brokers’ commission amount upfront, not the buyer (sure it’s all included as part of the final sales price), but the broker representing the buyer usually makes a larger commission and has that extra motivation to work harder to get the best result for you, the buyer. Every broker whom you contact will want to be your exclusive representative your ‘buyer’s broker’ to help you find your trawler. How do you select a broker? Just as you will do your research to find the right type of trawler to pursue, you should do your homework to find the best broker to select as your personal representative. Until you have “auditioned” and found that person I recommend that if you do inquire about a trawler listing you let the listing broker know that by contacting them directly you are NOT establishing a broker/client relationship and that you reserve the right to select your broker on your own terms. This is a candid, honest approach and the reaction you get will be very telling as to the type of relationship you could have if that sales person does ultimately become your representative. Many buyers take a shotgun approach and talk with all of the brokers, have them all running in circles and jumping through hoops – this may seem like a great way to spread the load from a buyers perspective, but will actually dilute your effort to the point of ineffectiveness. My suggestion is to go it on your own as far as you can take it. While you are educating yourself on the trawler market try to identify one broker who through experience, effort, word of mouth, referrals and reputation rises to the top as the best choice to be your representative and then “hire” that person to be your broker. There are really two levels of yacht brokers – yacht sales persons and yacht brokers (“broker” is the common term whether the person is truly a broker or not). A sales person is hired by a yacht broker to perform sales functions as an agent under the brokers’ business license. Brokers, typically business owners, pay the expenses to run their business and hire sales people to extend their reach. Most bonafide yacht brokerage firms have a separate, bonded “trust” account for the safe keeping of a boat buyers deposit funds during a transaction. Each firm has their own business forms for putting together boat deals – listing agreements, purchase and sale agreements, counter offers, acceptance, and closing documents. There are only two states that require sales licenses for used boat sales, California and Florida. For Florida you fill out a form, submit finger prints, pay a fee, post a bond and have your background checked and need to have an employing broker. After two years practicing in FL you can upgrade your license from sales person to broker. In California you need to pass a written yacht sales person exam to get your yacht sales person license while working for a licensed yacht broker. After two years in the business you can also take another test if you wish to become a California yacht broker. Yacht brokerage firms have local and state normal business regulations they must comply with. There are also regional associations that yacht brokerage firms can join which mandate a code of ethics and best business practices. In the US and Canada all of these regional associations are interconnected through cooperative relationships through the YBAA (Yacht Brokers Association of America) based in Maryland. The North American member associations are; British Columbia Yacht Brokers Association, Northwest Yacht Brokers Association, California Yacht Brokers Association, Gulf Coast Yacht Brokers Association, Florida Yacht Brokers Association and the Ontario Yacht Brokers Association. YBAA also offers a testing program for yacht sales persons with a minimum of two years experience on the job that can lead to the ultimate credential in the business, CPYB (Certified Professional Yacht Broker). This is a true “professional” distinction that is hard earned and requires study for and sitting through a two hour exam. Upon successful completion the CPYB is earned for three years and must be renewed through a point system of continuing education. The simple comparison would be that there are accountants and real estate agents, those who take their game to the highest level of certification become CPA’s and Realtors, the same is with yacht brokers who become CPYBs. 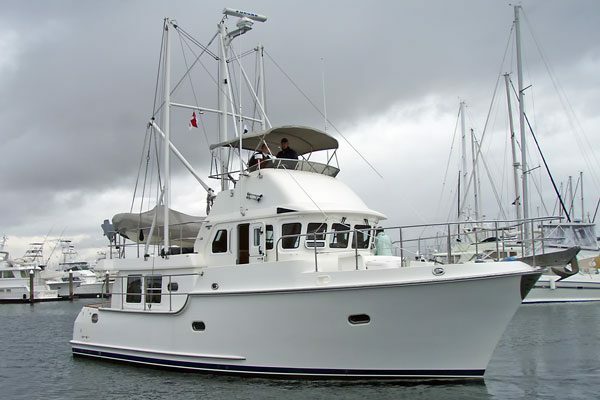 Developing trust and confidence while learning what their clients’ real needs and goals are is what excites many of the top sales people in the industry – as much as closing the deal and seeing their client (now friends) out enjoying the right trawler purchased for the right price. It’s true, the broker does not make any money until the deal closes, and some aggressive brokers looking for immediate gratification have put their clients into trawlers that are not suited for type of cruising they have planned. Most professional brokers look at the big picture and don’t take short cuts, instead focusing on the long term results of their actions realizing it will mean a lot more all around satisfaction with happier clients which in turn may lead to future listings and word of mouth referrals. The REPUTATION of your broker is not created over night, do your research, ask around and when you are ready to make a connection and a commitment reach out and make your own decision to pick who YOU want to work with – YOU CAN AND SHOULD SELECT WHICH BROKER YOU WANT TO REPRESENT YOU.